In recent years, the U.S. has seen an eruption of several important social movements. The 2016 presidential election caused an impassioned spark that took the form of the Women’s March in early 2017, attracting more than two million protesters to streets across the globe. 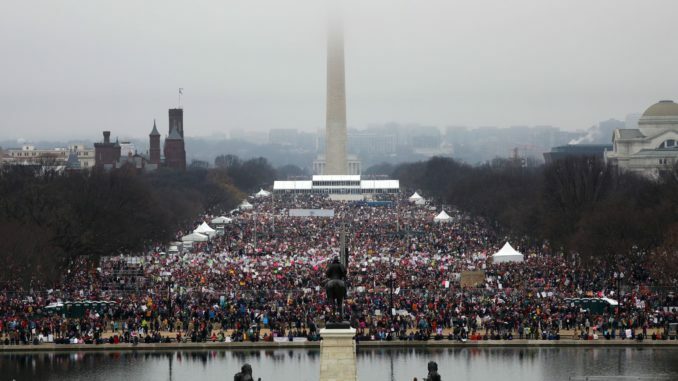 Washington, D.C. saw one of the larger crowds, with over 500,000 people gathered in the nation’s capital. Reports say the size of the march grants it a spot in history alongside notable protests like the 1963 civil rights demonstrations of 1963 and the Vietnam War protests of 1967. Black Lives Matter similarly swept the nation over the last few years, as Americans advocated for violence inflicted on black communities, specifically by the state, to end. The #MeToo movement followed the various sexual harassment allegations, shedding light on an often ignored but extremely prevalent topic. And more recently, following the Parkland, Florida shooting, demonstrators have taken to protesting gun violence. But in the midst of these movements for social change, much of Hollywood’s elite have been noticeably quiet. Calls for increased gun control were largely organized by high school students at the school where the shooting occurred. Students actively engaged with media at a variety of outlets, and organized the March For Our Lives which took place across the U.S. just a few days ago on March 24. Some high profile individuals were in attendance, including Jennifer Hudson, who sang at the D.C. rally, Amy Schumer, who spoke in L.A., and Paul McCartney, who attended in New York. However, there’s a difference between attending an event and making these beliefs part of a continuous message portrayed to fans. In the past, celebrities have made their opinions known on a variety of issues, and even gone to extremes to call for change. 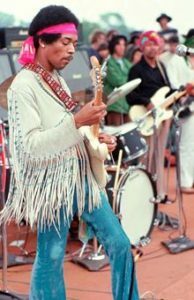 The hippie movement of the 60s and 70s comes to mind, when musicians were almost required to stand for some sort of cause if they wanted to call themselves rock & roll. Paul McCartney has been inspiring social change for a long time, accompanied by former bandmate John Lennon, and other Woodstock-era musicians like Jimi Hendrix and Bob Dylan. While the hippie movement has passed and could never be recreated, today’s world seems to be slightly void of stars who dedicate their lives and careers to the big issues of the day. Celebrities have a unique opportunity to influence a large number of people in a variety of ways. Aside from being able to draw the public’s attention to certain issues, young kids and superfans look up to their favorite artists and often take cues from them when formulating their own opinions. While speaking or performing at a rally is certainly admirable, I personally would like to see more of those in the spotlight making their beliefs a bigger part of their Hollywood persona. Rockstars of yesteryear made the values of peace and love parts of their entire platform, incorporating important topics into everything from their lyrics to interviews. Many of today’s celebrities’ platforms seem embarrassingly flat in comparison, focused instead on trends in pop culture. Important issues can be tough to talk about. Celebrities may find it hard to voice their opinions without offending a segment of their fan base, or may worry about not coming across as knowledgeable on the topic. But the opportunity they are given to make an impact should be too great to pass up. Some attempt to contribute their voice in small ways; Halsey recited a poem at the 2018 Women’s March that went viral afterwards, putting her message in front of huge audiences across social media platforms. Within the electronic music scene, long-time DJ, Bassnectar, is known for incorporating social issues into his very identity as an artist. 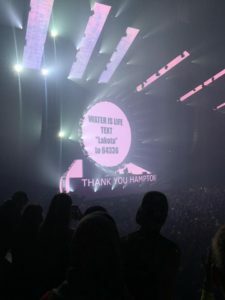 His live performances often include messages about the current political climate embedded in either lyrics, visuals displayed on LED screens, or both. He has even been known to bring out guest speakers in the middle of his performances, such as a member of the Standing Rock Sioux tribe, who spoke about the damage of the Dakota Access Pipeline. The Bassnectar team is also active on social media, consistently distributing the messages that appear in live performances, educating fans on how to actively get involved, and encouraging conversations about tough issues. But many celebrities merely throw money at an issue rather than speaking up. With a fanbase so large, I would argue that high-profile individuals have a social responsibility to not stay quiet on such important topics. Donating is not enough. Speaking or performing at one event is not enough. Celebrities have the eyes of the world on them and with social media, information is shared faster than ever. We can hold our favorite artists to a higher standard than simply being in trend. And we can do everything possible to keep the conversation moving on our end.